For the past two years, I’ve had a CSA subscription – where you get a box of fresh produce from a local farm. Everything was either certified organic or grown using the same guidelines, and it was a great way to balance feeding my family quality produce with a small budget. Now that we’re in Georgia, I’m having to re-establish my routines and learn how to find quality food where I live. Included in this quest, is shopping the farmers markets. But does using a farmers market budget work? Absolutely! I’ve spent many days browsing the pretty, fresh foods on the vendor tables, talking to the farmers about their food and watching how patrons interact with the vendors. I’ve also learned the keys to making the most of the money you spend there! Have you ever bought pretty produce on a whim, stuck it in the fridge when you got home, then opened the fridge a week later to find it rotting in the produce drawer? Me too, and that’s why you need to have a general idea of what you’re looking for before you even leave the house. Your plan doesn’t have to be grandiose – you just want a general guideline of what you’ll be eating. 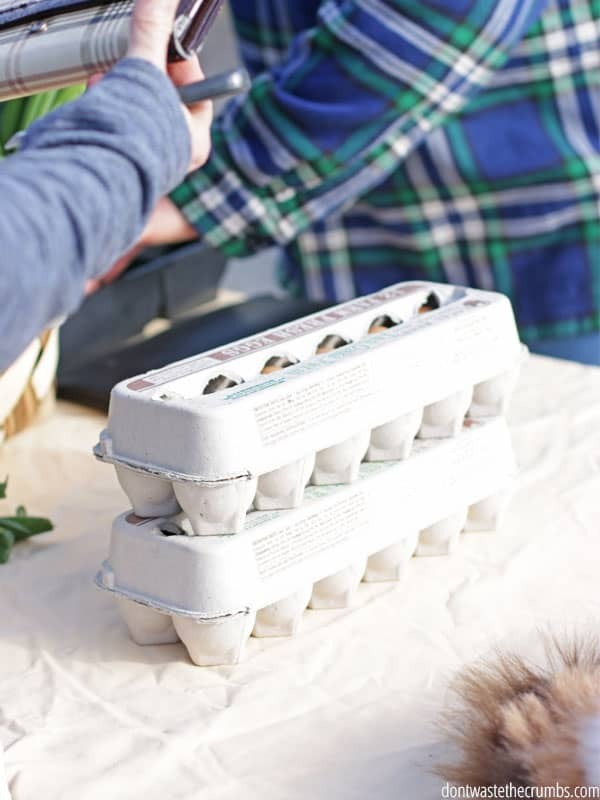 Tip: I make meal plans every month that are frugal, seasonal and delicious, letting you print the shopping list and take it with you to the farmers market. Become a member and cross meal planning off your to-do list all summer long! Shopping with a flexible list allows you to take advantage of the sales at the farmers market while still shopping for the meals on your menu. Think of your menu like an ice cream sundae – it’s the big scoop of plain vanilla ice cream. 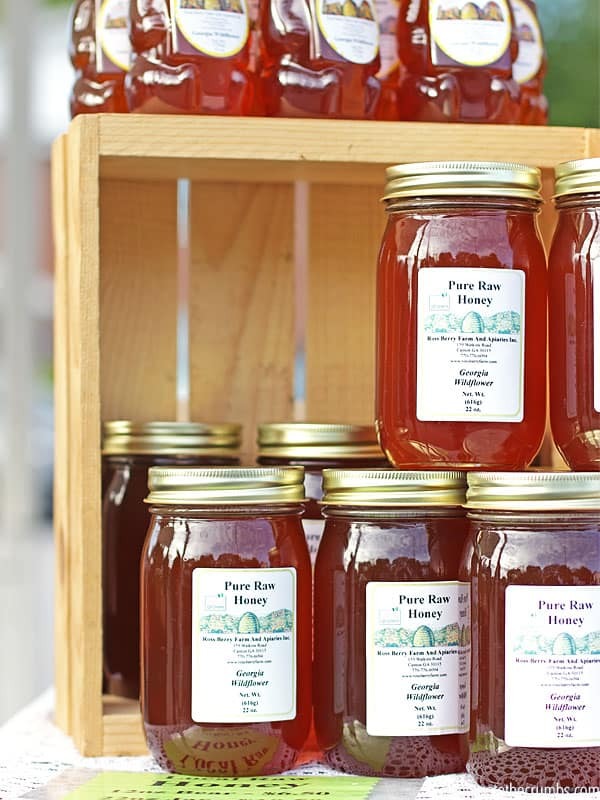 Then the farmers market is like the toppings – fudge, caramel or chopped nuts. What you make for side dishes, the type of lettuce you use in the salads, the veggies you put in soup and risotto and the additions you put on top of your salad (i.e. the toppings) are flexible and will depend on what’s available at the farmers market. Just like having a grocery budget is key to not overspending on groceries, having a farmers market budget is key to not overspending while shopping. If you’re not sure how much to set aside, look at your past grocery receipts and see how much you spent on fresh produce. Also think about how many pounds of fresh produce you typically buy in a week. Using myself as an example, we spend about $40 and eat about 20 pounds of fresh produce each week. Since I shop according to the dirty dozen and clean fifteen (more on that below), I set aside $20 for fresh produce at the farmers market each week. If you want to get the most bang for your budget while shopping at the farmers market, you also need to know what’s on sale at the stores. Compare your shopping list with the weekly circulars and write down how much each item costs at the store, for both organic and conventional prices if you can. Then when you’re shopping the farmers market, you’ll know whether the price is fair or a bit high for your budget. Every year the Environmental Working Group puts together a list of produce that’s ranked according to the pesticide residue. The Clean Fifteen has the least amount while the Dirty Dozen has the most. In order to stay within budget each month, I aim to purchase foods on the Dirty Dozen list either local or organic, and preferably from the farmers market. I purchase foods on the Clean Fifteen list either local or conventional, and while I prefer to buy them from the farmers market, I’ll buy them from the store if there is a significant savings. This is where looking at the weekly circulars and noting the prices is very handy while I’m shopping at the market. Tip: Download a pocket-sized copy of the Dirty Dozen and Clean Fifteen for free and know on the spot whether you should buy organic or conventional! Before you buy anything, walk the entire market from end to end. Look at the prices and the yield of the produce at each stand because both can vary greatly. I’ve found asparagus priced at $1.99/lb on one end and $2.99/lb at the other. I’ve found one vendor whose berries always taste better (and yet the same price as others) and two years ago I found a vendor who had an enormous selection of vegetables AND he offered a discount when you reached a certain amount! You can bet I made sure to shop him first! Take notes as you walk and when you’re done, compare them to both your shopping list and meal plan. 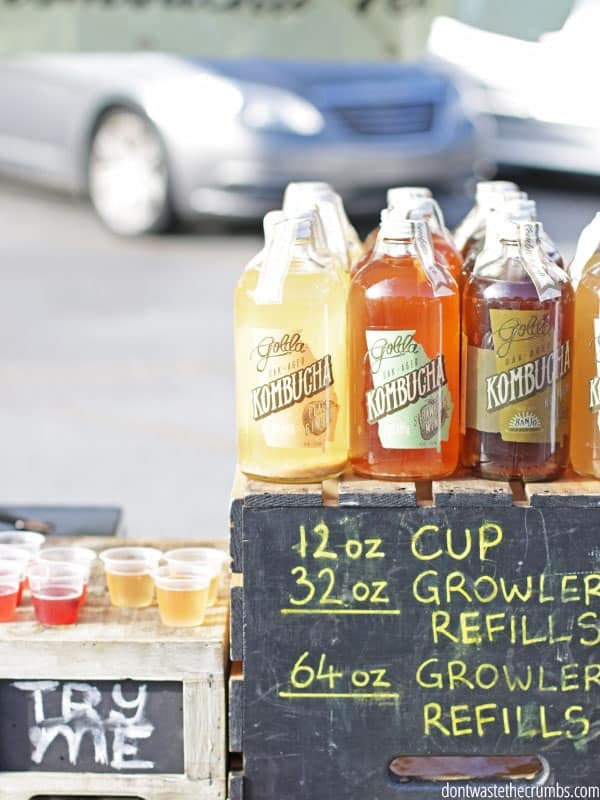 Be strategic with what you choose to maximize your farmers market budget. You might choose the bigger heads of romaine lettuce at $3 each instead of the smaller heads of bibb lettuce for the same price, because you know you can get two salads out of one head of romaine where the bibb will only last one meal. You also might have to forgo a strawberry rhubarb pie and make a plain strawberry pie instead if the rhubarb will put you over. Remember that both the list and meal plan are flexible and you’re in charge, so make changes and swaps as you need to. Knowing your farmer is the best way to know for sure the quality of produce you’re buying, but it’s also the best way to score a great deal! Ask them if they offer discounts for shopping weekly. They might clue you in that they discount everything by 50% at the end of the day so they don’t have to take it back to the farm, or that next week will be the last week of apples so be sure to come early. Better yet, they might tell you their chickens have been laying extra eggs and have an extra dozen in the truck, if you’d like them. Ask them if they offer discounts for buying in bulk. Bumper crops can be tricky for farmers since they require additional storage space, so farmers might be willing to offer a discount if you can take it off their hands. Know that bulk from a farmer can range anywhere from 5 pounds to 30 pounds, and have a plan for what to do with it before you commit! Many farmers offer discounted prices for the items that are ugly or misshapen, but not all of them advertise this. Other than a bruise or a bump, these items are just as good quality as the pretty ones and it’s a great opportunity to save. We almost always use bruised fruit in smoothies and homemade popsicles. I’ve seen vendors sort through their boxes in the middle of the day, removing the foods that aren’t in tip-top shape. If you see someone doing this, ask them if they’re selling those less-than-stellar items and how much they’re selling them for. You might want to have a price in mind as well, in case they’ve never been asked before. Remember that pretty produce you bought on a whim that rotted in the fridge? It doesn’t matter if you got that for a bargain because it ended up in the trash can, that’s why you need to have a plan for whatever you bring home. The obvious plan is to use it in your meal plan, but sometimes plans change. My default for excess produce is to dehydrate fruit for Homemade Instant Oatmeal Packets, but I’d like to get better about cooking for the freezer using recipes like Lentil Vegetable Soup or White Chicken Chili since they can be tailored to a variety of fresh produce year round. Tip: Do you struggle with knowing what you have in the house? These inventory sheets are a lifesaver! There’s one for the fridge, freezer and pantry and they’re 100% FREE to download. Print them off, fill them out and tape them to the fridge at the start of each month to help you eat what you have and not buy things you don’t need! A reader once emailed me with a pretty awesome storage tip: she designates one drawer for “old” produce and another for “new.” When she cooks during the week, she makes a conscientious effort to eat from the “old” drawer FIRST, and then the “new” drawer. Doing this helps to keep her purchases down, and ensures she’s not letting produce go bad in the fridge. Anything leafy should be washed and thoroughly dried and stored in a container with a paper or cotton towel. The towel absorbs excess moisture keeping your produce fresher, longer. Most other vegetables can sit in the fridge without being washed or prepped until the meal. Berries though, should specifically not be washed until just before you eat them. Finding a market near you. Don’t be loyal to one market until you’ve tried a few in your area. Some markets have better prices while others have better selection. Some markets are so big they can be overwhelming, while others are smaller, easier to navigate and sometimes better when you’re shopping with kids. Take your shopping list AND meal plan with you. That way you can easily see what meal you’re making a substitution for without ruining dinner! Bring your budget in cash. This makes it impossible to go over and easy to see how much you have left to spend. Bring your own bag because not all vendors have them. Also consider bringing back glass jars, egg crates and pallet/flat containers if you previously bought them from the vendors. Some offer cash back for these items. Arrive early for the best selection. Customers know who have the best items, and they’re willing to show up early. Sometimes even showing up at open is too late. This varies with each market of course, so just be aware of what’s happening at your market. Shop 30 minutes before close for possible deals. 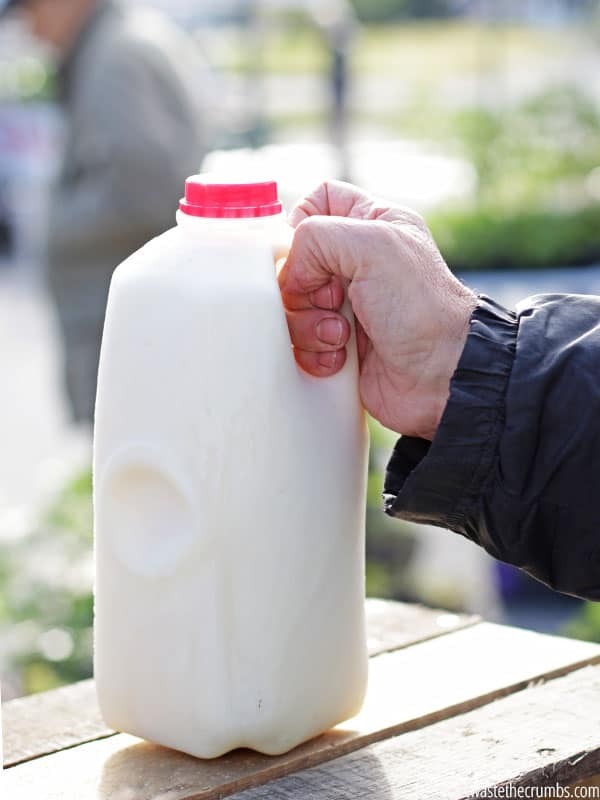 Many people swear by this, but not all farmers discount their items just so they don’t have to bring them home! It’s worth a try once or twice though, to either rule the possibility in or out. 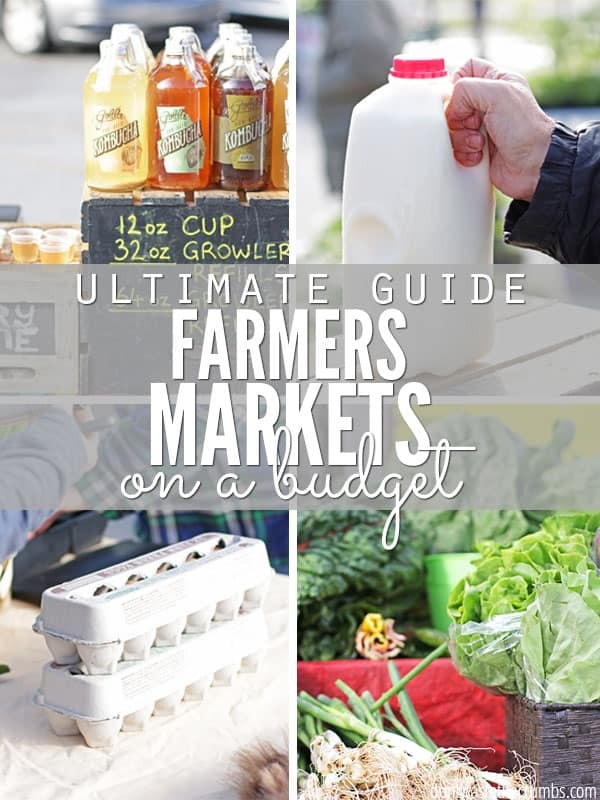 Do you have any great tips to share about shopping with a farmers market budget? Share them in the comment section below! Consider This: How Much is Your Time Worth? Can you clarify why you need to clean greens before putting in fridge but not other veggies? This was a tip from my farmer, making them last longer. Tear green instead of cut them, wash well and DRY – that’s key. Most greens at the market are fresh from the field, so any residual moisture/bugs will make the greens go bad faster. Carlton Farms has a vegetable share & drop-offs all over the Atlanta metro area. Friendly folks, too. Thanks for the tip Helen! I’ll check them out!